1. What are some features of a web hosting provider? 2. Why is it important to check the price list of a web hosting provider? 3. Why compare the allotted space of a web hosting provider? 4. Why examine the reliability and bandwidth limits of a web hosting provider? 5. Why consider the technical support of a web hosting provider? 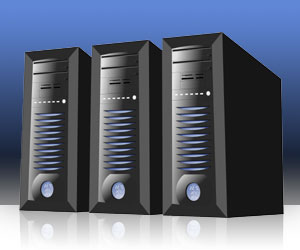 Web hosting providers come in many forms with varying features. With features like website builders, file size limitations, bandwidth restrictions, technical support services, and various scripts, it’s easy to see how diverse and varied the types of web hosting providers can be. Read on to learn how to compare web hosting providers. Step 1: Check out the price list. The first thing you will need to compare is price. It’s wouldn’t be very practical to include in your comparison a web hosting provider that you cannot afford. Step 2: See the platform. Another important consideration is what type of platform the host is using. In most cases, this will be either Linux-based or Windows-based. Step 3: Compare the allotted space. Next, you should compare the amount of diskspace that the host is offering you. Small websites will probably need 5MB, while larger sites will be fine with 10 to 15MB. Step 4: Examine the reliability and bandwidth limits. Perhaps the most important aspect when choosing your web hosting provider is the reliability of the site and the access speed that they offer. An uptime of 99.5% or higher is ideal, but try not to choose a provider with a guaranteed uptime of less than 99%. Many websites that don’t require heavy data transfer will only need a bandwidth limit of 3GB or lower. Step 5: Consider the technical support. Finally, another primary concern when comparing web hosting providers is to get a provider with excellent technical support. Settle for no less than 24/7 technical support, because you don’t want to be in a situation where your site is down and the technical staff is off duty. As you can see, there are numerous considerations to keep in mind when comparing web hosting providers. In fact, the steps listed above don’t cover all of the features and services that you should compare. These are just some of the most important ones. When it boils down to choosing a web host provider, you should choose one that has good reviews, good ratings, and one that is a good fit for your needs.